Discussion in 'Movies' started by puni88, Dec 15, 2011. Media and fans have often speculated about the equation that Deepika Padukone and Katrina Kaif share. The bone of contention between these two lovely ladies has been Ranbir Kapoor. Deepika once dated the Kapoor munda and the couple later parted ways. The reason for their split was rumored to be Ranbir's growing proximity to Katrina Kaif. This was back in 2009. Flash forward to 2013 and Ranbir and Katrina are very much a couple. Deepika in several of her interviews has mentioned that she has no problems with Katrina Kaif and even in the recent episode of Koffee with Karan, we got to know that she had accepted the offer to come on the show with Katrina. What makes all of this interesting is Katrina's recent statement in DNA where she says she has no equation with Deepika Padukone. I am going to copy her words verbatim below. DNA: Do you have an equation with Deepika? KK: No (coldly). I don't have any equation with her. I am cordial with everyone but I have no equation with Deepika. Everyone is here on the merits of their work and if someone has three hit films this year, someone else will have three hit films the next year and so it goes on. The focus will shift to that person accordingly and that's the way it should be. Well, she gave an honest answer in my opinion. Kudos to her for that. But she could have avoided the talk on the number of hits that Deepika gave. Not related to the question and makes her sound a little bitter. Her answer might also have stemmed from an earlier question the interviewer asked her on Deepika being the talk of the town. Either ways, I think it was uncalled for. Quite unlike the non-controversial Katrina we have always seen. Thoughts ? Hrithik Roshan recently split up with his wife Sussanne and their 13-year-old marriage ended. While Sussanne’s family has been her pillar of strength, the honey-eyed actor on the other hand has found a confidant in Salman Khan. Yes, you heard that right. First, the onscreen superhero went to Sallu miyaan’s farmhouse in Panvel on New Year’s eve and surprised him. But Jr Roshan didn’t stay back for celebrations. Four days later, Hrithik once again met the bhai of Bollywood but this time he spent around 10 hours with the Jai Ho actor and spoke his heart out, we have learnt. Well, its always nice to have someone you can lean on during tough times, no? “Hrithik came in late evening and he stayed all night. He looked very crestfallen. The subject of discussion was his broken marriage and his estranged wife Sussanne” a source told to a tabloid. Not so long ago, Aamir Khan also confessed on Koffee with Karan 4 that his Andaz Apna Apna co-star helped him through his divorce with wife Reena in 2002. And now SK has turned love guru for the Bang Bang actor wethinks! We know the Being Human star loves to help his friends and loved ones but with his new-found dostana with Hrithik is a bit strange. Remember how the former made not-so-flattering comment about latter’s film Guzaarish? Since then the two shared not-so-friendly vibes. But we are glad that both the actors have forgotten the past and are back to being buddies. Also, HR has been in the news for all the wrong reasons so its good at least his friends have got his back in these tiring times, no? [h=3][/h] Rakesh Roshan’s superhero flick Krrish 3 starring Hrithik Roshan was undoubtedly a huge success at the box office. In fact, media reports claimed the movie had surpassed the box office collection of Chennai Express which starred Shahrukh Khan and Deepika Padukone in lead. While the Roshans were mighty pleased with the positive response, soon rumours started floating in the industry that the collections of Duggu’s film were inflated. Though Jr Roshan stayed mum on the issue, he now seems to have decided to put all the rumours to rest. We wonder if HR is pointing fingers at his close pal SRK. Coz before Krrish 3 became a blockbuster; it was Shahrukh’s film Chennai Express which broke all box office records, hai na? Could be, could be not. We are just guessing. We could have said Aamir Khan also as his last release Dhoom:3 literally created dhoom at the ticket windows and has become the highest grossing film ever. 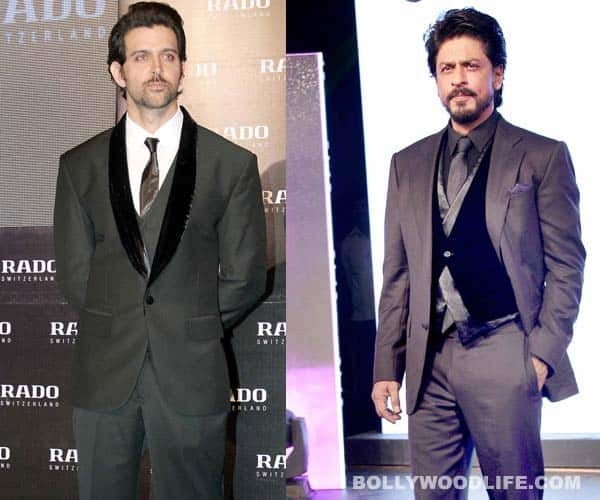 But AK and the Krrish 3 actor are the new BFF in B-town remember?Hrithik maybe going through a lot emotionally after splitting up with his wife Sussanne but the onscreen superhero isn’t worried a bit about his filmi career. “In the meantime stop manipulating the press! Believe in karma. As my father and I do. And one last thing about my father and me as a team- WE’VE ONLY JUST BEGUN!” added the star in his statement. Anupam Kher and Irrfan Khan got into a verbal duel on Tuesday evening at a suburban 5-star hotel, during a discussion at the curtain raiser of an award function . Both actors were nominated for their performances in recent films Lunchbox and Special Chabbis. The issue began when Anupam was asked to make a comment on the nominations . In fact, Anupam Kher was just trying to play it safe and said, "I would only like to talk about myself, so its only going to be about Special Chabbis." But it is true that anything can go wrong when your time is bad ! Anupam Kher-Irrfan Khan Verbal War Irrfan took this as an insult and the Slumdog Millionaire actor shot back saying, "Cinema is not about applauding only one's own self. I disagree with Anupam's viewpoint. We need to praise others too." This enraged Anupam and his ego is hurt as he is much senior to Irfan and replied in negative, "This is totally out of context. I teach students when to applaud and who to applaud. I have a high regard for those who are nominated in any award function." When Anupam said that he has high regards for those who are nominated in any award function, he was trying to clarify that he doesn't have a problem with Irrfan and instead have high regards for the actor in him. 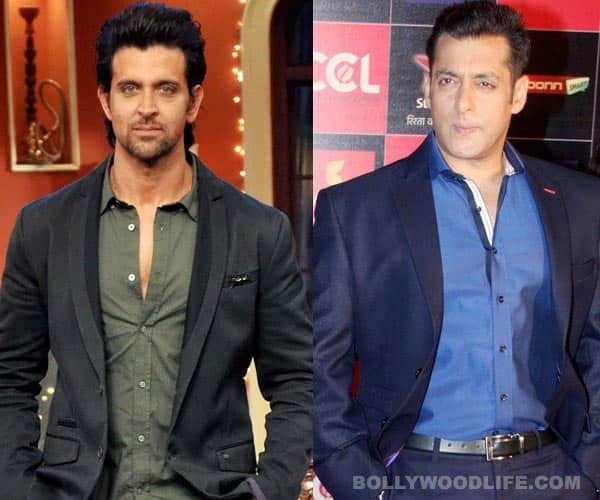 The issue got settled after both actors had a chat later and hugged each other ! . The investigation of mysterious death of Telugu actor Uday Kiran, who committed suicide at his flat in Srinagar colony, Hyderabad on Sunday, is seriously being done by the Jubilee Hills police. In their preliminary report, the police has claimed that the actor took this extreme step due to his depression. The latest reports suggest that he was depressed over financial problems caused by his manager Munna. During their interrogation of Uday Kiran's wife Vi****ha and her best friend Sarath, the Jubilee Hills police have reportedly come to know that the actor was cheated by Munna, who was his trusted manager. When the latter turned a producer for a small-budget film, Uday Kiran had reportedly given him surety for a loan of Rs 17 Lakhs at 10% interest rate. Since the movie bombed at the Box Office, Munna could not repay the loan. Finally, Uday Kiran, who himself was facing problems due to lack of film offers, had to repay Munna's loan. With no money left in his bank account, the actor had to depend upon his wife Vi****ha's salary - Rs 25,000 - for his livelihood. Reports suggest that his sin consciousness over troubling his wife might have compelled the actor to commit suicide. According to reports, the police are likely to interrogate Munna on this issue. Actor Akkineni Nagarjuna says his father Akkineni Nageswara Rao's will to live has helped him recover faster after his surgery to cure intestinal cancer. The 90-year-old legendary actor was diagnosed with cancer in October last year. He had shared the news with fans and requested them not to show sympathy. Talking to IANS Nagarjuna said, "We are thrilled with the vibrancy and positivity he is showing now. On Jan 1, the entire family had a fun-filled day with him. He is eager to reach the goal he spoke about when he met the media last." The actor added, "He is full of positive spirit. He has been doing things that make him stay vibrant. He is watching his favourite comedy shows on television and also listens to old and new songs. He has also been catching up with Telugu movies - from the oldest to the most latest Uyyala Jampala." Nagarjuna said his father needs the best wishes of his fans. "Support from his fans, well-wishers and the media play a strong part in his path to recovery and I hope that it will continue," said Nagarjuna. With over a 70-year-old career comprising a filmography of over 250 films, Akkineni Nageswara Rao made his cinematic debut with Telugu film Sitarama Jananam in 1944. Some of his best films include Batasari, Devadasu and Prem Nagar. His next will be Telugu family drama Manam with son Nagarjuna and grandson Naga Chaitanya. It seems troubles during the releases have become a serious issue for big movies in Kollywood as Vijay's latest movie has landed in trouble again. Well, his Jilla, which is ready for the worldwide release tomorrow (January 10), has been dragged to court over a title issue. Mahendran from Swamidas Sree Arts has approached the court seeking a stay order on the release of Vijay's Jilla. He has said that title Jilla had been registered in his name a few years ago. He had dubbed Telugu film Bhageeratha starring Ravi Teja and Shriya Saran in Tamil with the afore-mentioned name. The case is appearing before the civil court for the hearing today (January 9). The news has come as a shocker to all Vijay fans and people have their fingers crossed over the development. The Thalaivaa nightmare seems to have reappeared for the Illayathalapathy fans and his fans are praying for the peaceful release of the much-awaited flick. Vijay's earlier movies like Thuppakki and Thalaivaa were also caught in similar situation. However, the Jilla team is confident of coming out of the trouble. Jilla is an action movie starring Vijay, Mohanlal and Kajal Aggarwal in the lead roles. The movie is produced by RB Choudhary and directed by RT Nesan. We all saw Ranbir Kapoor leave for New York City with girlfriend Katrina Kaif. We also saw him returning sans Miss Kaif. Buzz was that Kat was down with flu during their stay abroad. Ranbir Kapoor is posing for a pic with his aunts in NYC. Seen here are Ritu Nanda, Nitasha Nanda and Rima Jain. Ranbir had mentioned before that his aunt Ritu Nanda was being treated for cancer in NYC and that he would wish to spend some with her over there. Seems like Ranbir fulfilled his and his aun't wish. Aww, sweet! The media has been abuzz for some time now with stories of Abhishek Bachchan and Aishwarya Bachchan wanting to move out of Jalsa . Abhishek on his part took to Twitter some time back to rubbish this rumor. But now, a fresh report coming out of Fashion Scandal, claims that Aishwarya and Abhishek have moved out of Jalsa to their own abode, Naivedya on Carter Road. The move happened on New Year's eve. The report also suggests that the reason for the move is not friction between Jaya and Aishwarya as reported by the media, but friction between Jaya and Aishwarya's mom, Vrinda Rai. He’s a superstar known for his weakness for beautiful women, and she’s a young actress with the promise of a bright future. The two have been fond of each other for a while now, and though both have had their share of relationships, their newfound single status has set tongues wagging again. Rumour mills spoke of their proximity earlier as well but the duo made it a point to not step out together. Sources say that this couple has been discreet all along and that theirs is an unlikely pairing. However, the star, currently promoting his upcoming film, is believed to have let his guard down at a recent party at his residence where he openly displayed his affection for the actress. On her part, the actress -- who does not have any Bollywood lineage and whose previous relationships include a liaison with a foreigner -- was quite happy with all the extra attention that came her way. “Their body language suggested that the two are a couple,” commented one of the guests present at the do.